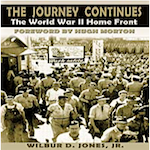 The Journey Continues extends the human interest story started in the acclaimed A Sentimental Journey: Memoirs of a Wartime Boomtown, including more cultural anecdotes, love stories, and the social scene, and numerous detailed accounts of area men in combat and those killed in action. 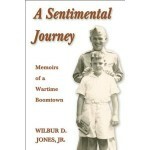 For numerous reasons, America’s unique World War II wartime boomtown was Wilmington, the population, economic, social, and cultural hub of southeastern North Carolina. The area, officially called “The Defense Capital of the State,” contributed mightily to the national war effort. 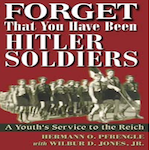 This area of North Carolina accommodated each military service, a shipyard mass-producing 243 cargo vessels, the state port, defense industries operating at capacity, and German prisoner of war camps. Two hundred Wilmington high school graduates received the Medal of Honor. Thousands of citizens fought on every global battlefield; 191 New Hanover County boys died. Strategically located, the area endured constant civilian defense alerts and restrictions, U-boats marauding offshore, and until 1944, the threat of German attack. The county’s pre-war population of 43,000 swelled to around 100,000 with the influx of servicemen and war workers. Even as the casualty lists grew, entertainment and night life sometimes proceeded as usual. Romance ruled. Prostitution flourished. 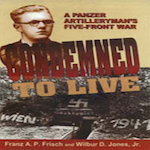 For many young men and women, the war was the most exciting time of their lives. The area’s diverse activities, complete absorption, and rise and fall likely were unequaled by any American city. How Wilmington managed the social, civic, jurisdictional, business, racial, and governmental complexities during its economic heyday is portrayed through hundreds of firsthand accounts and the daily newspaper.